The second Valletta 2018 international conference Cultural Mapping: Debating Spaces & Places opened at the Mediterranean Conference Centre, in Valletta, this morning. The conference focuses on cultural mapping, the practice of collecting and analysing information about cultural spaces and resources within a European and Mediterranean context. Delivering the opening address, Valletta 2018 Foundation Chairman Jason Micallef spoke in light of the Syria conflict which is resulting in widespread destruction of several cultural resources, such as heritage sites, in the Mediterranean region. “Against this background cultural mapping takes on a renewed importance, not only in preserving the existing heritage of communities, but particularly in disseminating this knowledge through new, global channels and technology, forging new relationships between people across the world,” Jason Micallef said. “The examples of cultural mapping presented during this conference will allow us to dream of new ways in which the knowledge and understanding of our shared histories and our shared futures can be spread across the world”. Bringing together a number of international academics, researchers, cultural practitioners and artists, the conference will explore various exercises of cultural mapping taking place across the world. With the subject being relatively new to Malta, speakers will be discussing the role of cultural mapping and how it can influence local cultural policy, artistic practice, heritage and cultural identity, amongst others. 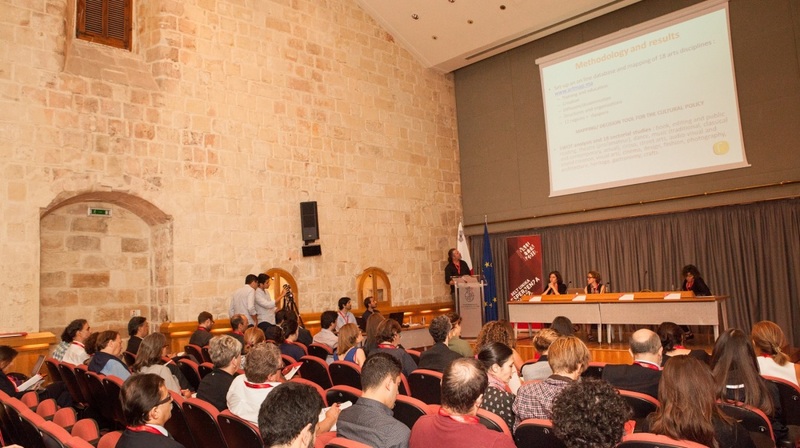 The conference is being organised following last April’s launch of www.culturemapmalta.com – the online map exhibiting the data collected during the first phase of the Cultural Mapping project, led by the Valletta 2018 Foundation. Speakers include experts, academics, researchers and activists within the fields of tangible and intangible heritage, sustainable development, and cultural policy, both across Europe, the Mediterranean and beyond. Keynote speeches will be delivered by Prof. Pier Luigi Sacco, a cultural economist who will be presenting examples of cultural mapping taking place in Italy and Sweden, and Dr Aadel Essaadani, the Chairperson of the Arterial Network, a Morocco-based organisation that brings together art and culture practitioners across the African continent. The conferrence is being organised by the Valletta 2018 Foundation in collaboration with the Centre for Social Studies (CES), University of Coimbra. Creative Europe Desk, the European Commission Representation Office, EU-Japan Fest Committee, the French Embassy, Fondation de Malte and Spazju Kreattiv are also supporting the event.